The Balkan states of Albania and Kosova are, without doubt, the most pro-American Muslim-majority countries in the world. According to a new census including religious affiliation – the first since 1930 – Albania now counts 57% of its total population of 2.8 million as Muslim, down from 70% eighty-two years ago. Its Catholic population has remained stable at 10%, and Albanian citizens identifying themselves as Orthodox Christians have fallen from 20% in 1930 to about 7%. Although Kosova does not tally figures for religious communities, the Muslim share of the population is thought to be larger, at around 80%. Both republics are secular. 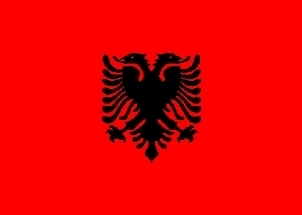 Americans are beloved in Albania thanks to a significant history of Albanian immigration and success in America, and early contributions by Albanians in the U.S. to the national movement for freedom from the Ottoman Empire. At the end of November, the Albanian government of Prime Minister Sali Berisha was prepared to vote with the U.S. against a Palestinian observer seat in the United Nations, and, following unsuccessful pressure to vote "yes," from the Turkish Islamist prime minister Recep Tayyip Erdoğan, Albania became the sole Muslim-majority UN member to abstain on the Palestinian issue. Kosova does not belong to the UN, although if it did, it might likely have followed the American lead and voted against the Palestinian bid, which was supported, among the ex-Yugoslav successor states, only by Serbia. The Albanians of Kosova have expressed undiluted appreciation for the actions of the Clinton administration, represented by then-Secretary of State Madeleine Albright, and former General Wesley Clark as Supreme Allied Commander for Europe at NATO, in the 1998-99 military intervention that rescued the Kosovar Albanians from Serbian repression. Its pro-American stance has caused the Kosova Republic to be denied diplomatic recognition by most of the Arab states. The late Libyan dictator Mu'ammar Al-Qadhdhafi dismissed the Kosovars contemptuously as "American lapdogs." Recently, however, Albright and others have commenced new efforts at involvement in Kosova that left local people concerned about the intentions of their benefactors of more than a decade past. In The New York Times on December 12, Matthew Brunwasser wrote under a page-one headline, "That Crush at Kosovo's Business Door? The Return of U.S. Heroes." The Times account described Albright and James W. Pardew, a special envoy sent to the Balkans by President Bill Clinton, offering competing bids for privatization of the Kosova state postal and telecommunications agency, known as PTK (from its Albanian and Serbian initials). General Wesley Clark, chairman of Envidity, a Canadian firm interested in Kosova's coal mines and potential for synthetic fuel production, has also gone to Kosova in search of financial advantage. But Albright's involvement has given her the highest profile in the discussion of Kosova's economic future. According to the Times, "Albright Capital Management, founded by Ms. Albright, has been shortlisted in the bidding for a 75 % share in… PTK." The Times estimates the probable payout to Kosova political leaders for PTK, if a deal is consummated, at "between $400 million and $800 million." Officials of another Albright entity, Albright Stonebridge Group, have a minor share in PTK's only competitor, the private company IPKO, based in Slovenia. Times correspondent Brunwasser wrote that the situation could "threaten… market competition if Ms. Albright's consortium wins the bid" for PTK." Privatization in post-Communist economies often presents multiple problems: State enterprises may be handed over to individuals or groups favored by the prior dictatorial authorities, as has allegedly occurred in Slovakia, previously a part of Czechoslovakia. Government-owned companies may also be privatized, turned profitable, and then re-nationalized by authoritarian rulers. In Russia, the Yukos oil company was branded an example of "oligarchic privatization" and taken over by the government of Vladimir Putin, only to be bankrupted between 2003-2007. The abolition of statist "command" economics has most often been considered a positive outcome in any context. Some observers have advocated "voucher" privatization, through which shares in government-controlled companies are distributed to all the citizens of a country, either free or at a low cost. "Voucher" privatization succeeded most notably in the Czech Republic. Kosova is among the poorest countries in Europe, with the growth of its economy hampered by the failure of the "supervising" international authorities, with titles like the United Nations Interim Administration Mission in Kosovo (UNMIK) and the European Union Rule of Law Mission in Kosovo (EULEX). They have imposed all of Kosova's most important political decisions, but these have left the country in a calculated stasis since the end of the 1998-99 war. They have interfered with media, elections, and border relations with Serbia, but have neglected to reform Kosova's financial regulations or even to settle who owns various industries, such as the large-scale Trepça mining complex in northern Kosova. Trepça, which produced lead, zinc, gold, silver, and rare minerals, is the object of opposing claims of proprietorship by Serbia and Kosova; it also owes about 40 million euros to French, Greek, and Bulgarian companies. Similar state assets are KEK, the Kosova Energy Corporation, and its subsidiary KEDS, or Kosova Electricity Distribution. In June 2012, KEDS was sold by the Kosova government to a Turkish consortium, Limak Yatırım Enerji and Çalik Enerji Sanayi. Limak owns Kosova's only international airport. Limak also purchased KEDS for 26 million euros, although its capitalization totaled 180 million euros. Economic analysts criticized a lack of transparency in the transfer to Turkish control. Kosova still suffers frequent electrical power outages. Unemployment in Kosova is estimated officially at around 50%, although local reporting suggests it is closer to 60%. When Albright and other humanitarian liberators appear in Kosova as "privatizers," questions are bound to be asked. Although "entrepreneurship" usually means investment and expansion of commerce, in the absence of a secure domestic financial system and other guarantees for legitimate and desirable foreign ventures, Kosova's economy continues to shrink. As a prominent Democrat and Clinton administration figure, Albright is associated with that party's strident rhetoric against the free market in the 2012 American presidential election, including allegations of Republican corporate looting and similar "heartless" practices. It is difficult for some Kosovar political leaders to imagine that Albright's leap into their economy would create jobs, greater efficiency, and modernization of infrastructure. The Kosova "Self-Determination" movement, which is represented in the republic's parliamentary opposition and which stands for a maximum standard of independence for the country, issued an open letter to the Kosovar public in September. It appealed for e-mails to be sent to prospective bidders for privatization of PTK, criticizing the project for the sell-off of the post and telecoms agency. "Self-Determination" warned that properties were being offered for sale as if they were the private holdings of politicians, rather than resources of all Kosova residents. The "Self-Determination" representatives argued that Kosova's leaders aim to drive down the value of the state assets, so that they may be expropriated and sold. "Privatization is a name behind which these officials hide," the opposition advocates declared. The call by leaders of "Self-Determination" for protests against privatization behind the backs of the populace led to accusations that "Self-Determination" is a violent, anti-American movement. Albin Kurti, a young philosopher and the articulate founder of "Self-Determination," refuted in late December charges by U.S. ambassador Tracey-Anne Jacobson that he and his colleagues threatened Madeleine Albright. The leaders of "Self-Determination" pointed out that after they published their letter in September against a distorted privatization, they met with Albright in Kosova in November. "Self-Determination" did not oppose her visit, or threaten her as Ambassador Jacobson alleged. Kurti has insisted that he and his colleagues respect American principles of freedom, independence, and public responsibility. The friendship of Kosova, as a Muslim-majority state, is a major benefit for American foreign policy. The Balkan republic has resisted Islamist radicalization, excluded religion from public education, and acted to protect women's rights. These blessings should not be wasted because of the avarice of retired American officials or the incompetence of current diplomats. America, and especially Kosova, deserve better.